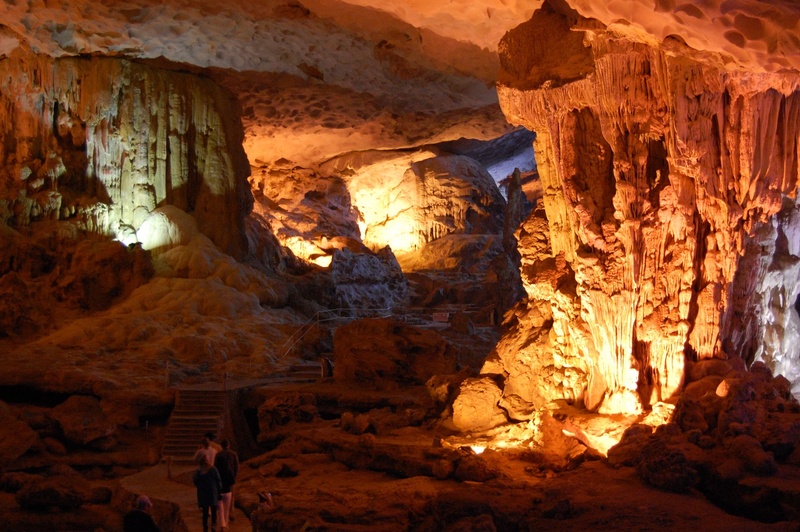 In particular, the system of caves in Halong also contributes to the unique sceneries which can surprise visitors at the first time. 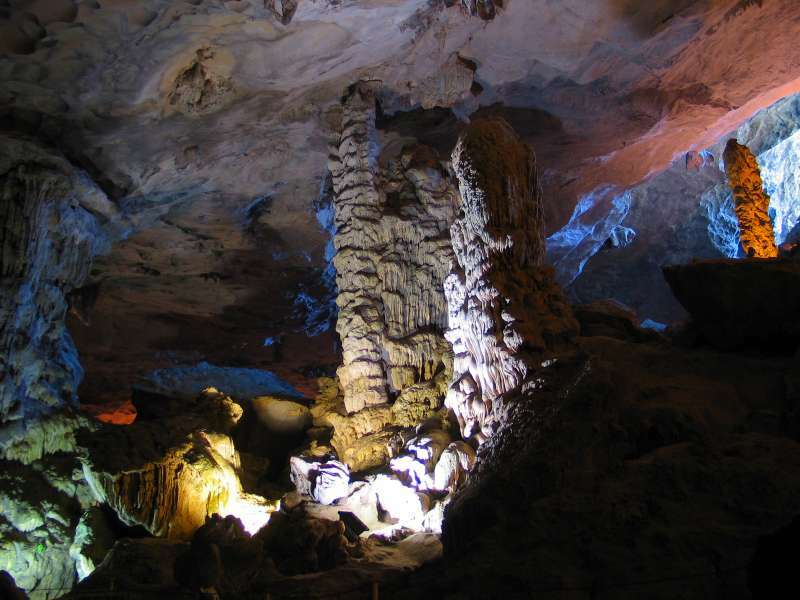 The following are some amazing caves in Halong which you shouldn’t miss in your journey. When putting your feet in Trinh Nu cave, the first thing you can see is a rocky statue of a woman who lies on the ground with the long hair. This woman draws her hopeless eyes to the sea and waits for something in Trong cave. 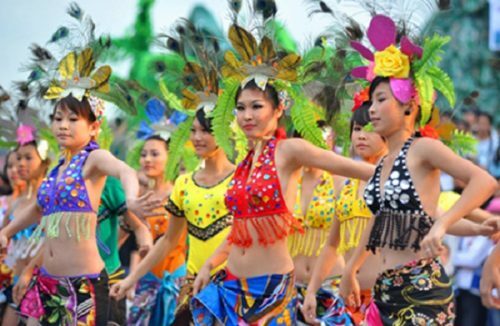 According to the legend, in a fishing village, there was a graceful and beautiful girl. However, her family was very poor. Therefore, she was hired to work for a rich boss. This boss wanted to get married with the girl but she didn’t agree because she had felt in love with another man. The boss was very angry and banished her to a wild island, which made the girl become hungry and exhausted. At a rainy night, she sanctified a rocky statue. 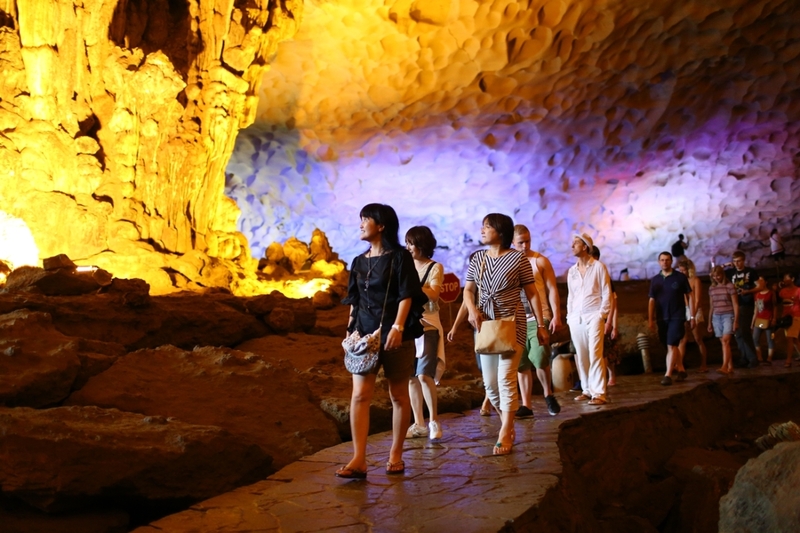 Sung Sot cave is divided into 2 main parts. The first one looks like a big and large theatre. The ceiling is covered by the green moss which seems very soft and smooth. Moreover, you can see many amazing stalactites on the ceiling which are twinkle and sparkling. These stalactites have formed in many strange shapes. The second one is leaded by a small and narrow road. When coming to this part, you can see the brilliant light which opens a new scenery. The second part is so large that it can contain thousands of people. The special thing is that you can see many strange views such as the ancient trees, rocky bears and dinosaurs inside. At the top of cave, you will be certainly very surprised when contemplating a royal garden with a clean lake, romantic landscape and many kinds of plant and bird. 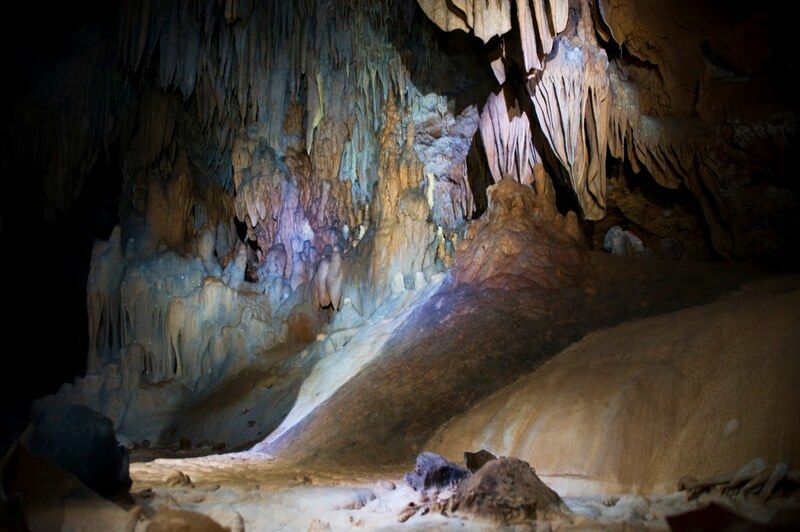 Beside the exit of Sung Sot cave, there are two stalactites which are in the shape of a horse and a sword. According to the legend, after defeating invader, Thanh Giong helped local people in Halong to beat ghost. Then, he returned the sky. However, he left his horse and sword for local people in case of bad power. 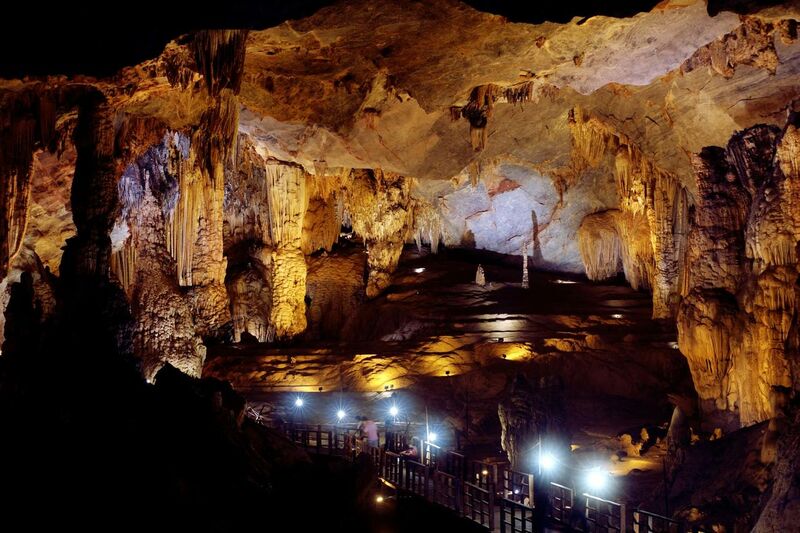 Trinh Nu and Sung Sot cave are two of the most beautiful and amazing caves in Halong Bay. The unique beauties of these caves with their legends can make tourists interested and excited so much. Choosing Halong for your holiday and exploring these wonderful caves will be a best choice to refresh yourself after many stress in your daily life.